This is my daughter, Bella, in her Halloween costume from Saturday night’s local Halloween movie night. Yes, it was a ‘boy’ costume (on the packet, on the label, in the section), and yes, it’s freaking adorable. I didn’t choose it to politicise my child, nor did I choose it to prove a point. I simply bought this costume because it was much more awesome than the ‘girl’ costumes available. I didn’t see this selection as an issue, but apparently I was somewhat alone in that mindset. When told about the outfit, people close to me said, “oh, people will tell you that ‘he’s a cute little boy’” and “make sure you’re ready for everyone to think she’s a boy“. Someone even said that she’ll “be put in the costume contest in the boy category“. On the night there were certainly some onlookers who were clearly confused and politely dodged mentioning gender when complimenting our little vampire. Others said she’s an “adorable little boy”, and some realised (and mentioned) that she is a girl. None of it bothered us in the slightest, nor did it bother anyone else to realise that the adorable little vampire they were talking to was in fact, a girl in a ‘boy’ costume. 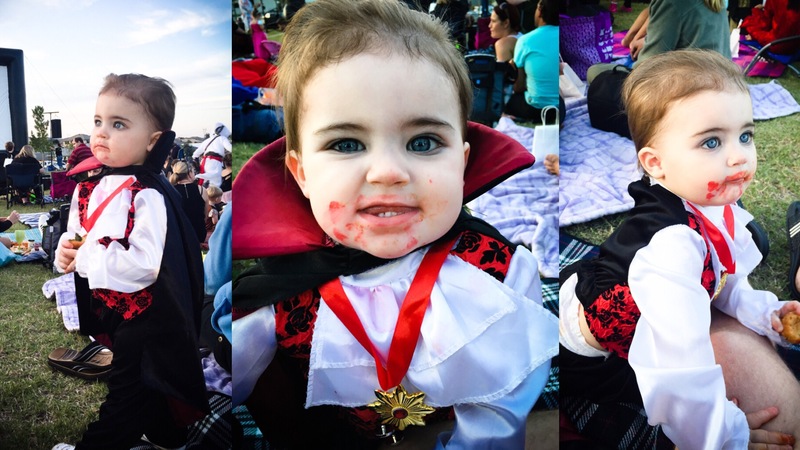 At one point during the evening, we even had a photographer ask if she could take a photo of our “little vampire” for the newspaper. When we gave her Bella’s name for the form, she wasn’t confused or shocked at all, despite being ambiguous in her references to Bella before learning her name. It simply didn’t matter. Most telling of all, the people who were initially concerned about her potentially being confused for a boy ended up praising her little costume, despite it not fitting the typical ‘girly’ style. Here’s the thing – she wasn’t dressed as a vampire to make a statement, but nor will she ever be made to adhere to gender stereotypes. Quite simply, she’s a vampire because vampires are awesome. When she’s older and can decide for herself what she wants to be for Halloween, I want her to see that her very first time dressing up has set the precedent wherein she can wear any costume she wants, without being concerned about gender stereotypes. I guess the point is that you don’t need to adhere to gender stereotypes but you also don’t need to go out of your way to avoid them either. If Bella wants to, she can be the most glittery, pink little princess one Halloween, and Batman the next. Her imagination will determine her choices, not her imposed gender. 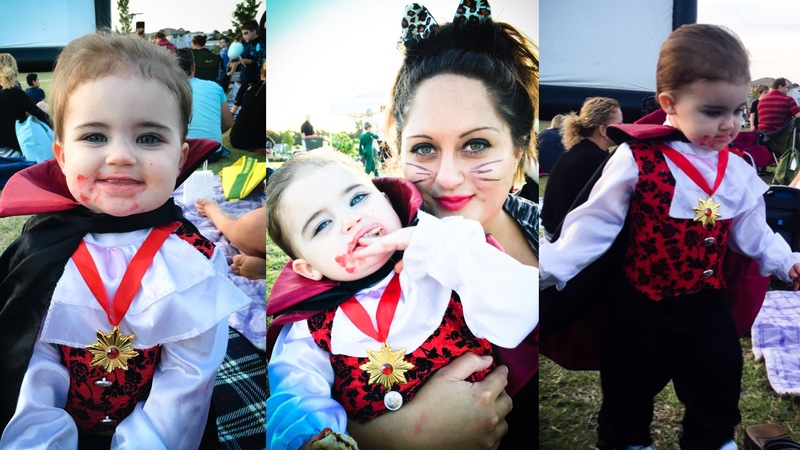 This entry was posted in Life and tagged gender, gender stereotypes, halloween on November 2, 2015 by leesalittle.